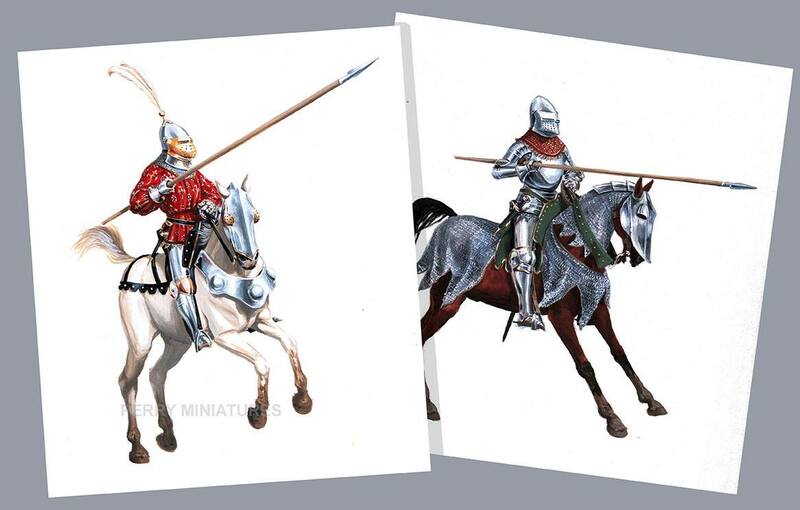 Perry Miniatures präsentieren neue Preview Bilder auf Facebook. 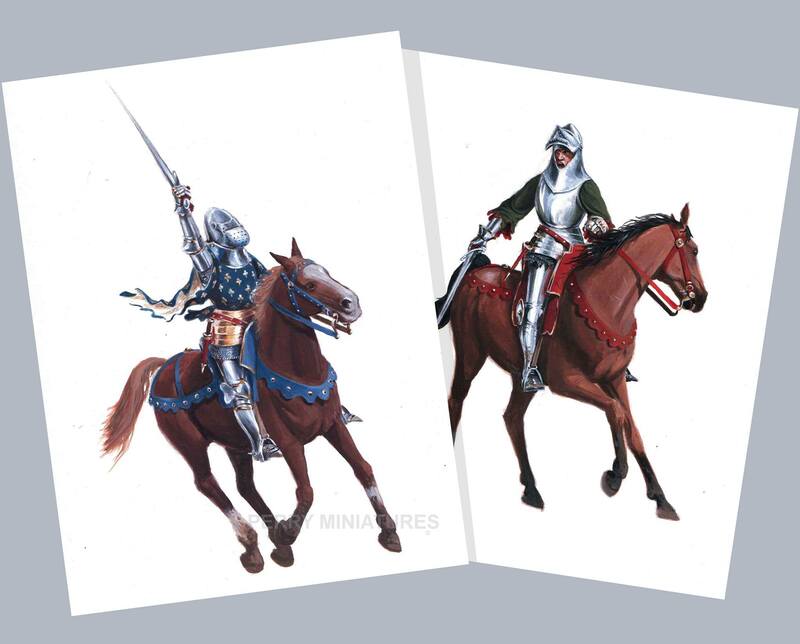 Alan has mostly been making metal Napoleonics and painting the cover/internal illustrations for the plastic Agincourt mounted Knights box. The Napoleonics include Swedish jägers, the Savolax shown here with their distinctive dark green shakos. Other jäger regiments are on the go too. Austrian (German) firing/skirmish line as well as march-attack and standing easy Austrians are also on the workbench. As you might be able to see the firing line have muskets made digitally which have a very crisp finish. These will start to creep into our ranges from now on. There are also some Russian Pavlovski grenadiers and fusiliers coming along. The Pavlovski Grenadier regiment was made up of three battalions; each battalion had three fusilier companies in fusilier caps and only one grenadier company in the famous taller mitre cap. There will also be heads with both types of headgear for converting the plastic Russian Infantry. 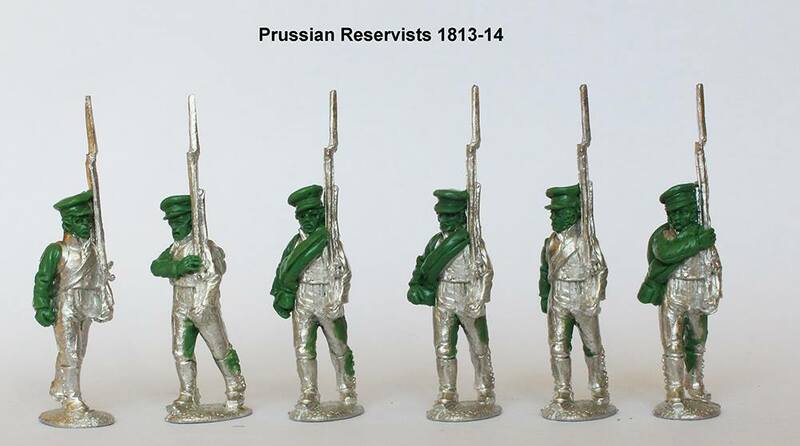 Alan has decided to make some Russian Reservists in metal as he can’t wait for himself to get around to releasing the plastics made many moons ago! So there will be a fair few of these codes in various configurations of the 1813 grey uniform. Alan has also started on the cover and internals of the next plastic set. He had decided to illustrate the leaflet in the traditional way, but had an idea that while doing this he might as well combine the figures digitally into a scene for the front cover of the box. This save time and be an interesting experiment. There are no release dates on any of these yet. Tiptop jetzt muss nur noch das swettwater Forum wieder funktionieren und neue Sachen sind bei der Perry Bestellung gesetzt. Warum ist das eigentlich schon so lange down? Weiss da jemand etwas?! Noch sind die Modelle ja nicht zu haben.